Dr. Ansari is professor in Public health at the University of Gloucestershire, UK. Dr. Ansari attained Doctorate Degree in Education (PhD) in 2006 at Oxford Brookes University, UK. 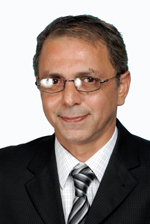 Dr. Ansari has also gained Doctorate Degree in Public Health (PhD) in 1999 at University of Wales, UK. He is an appointed member to NICE (National Institute for Health & Clinical Excellence), Centre for Public Health Excellence, Programme Development Group (PDG) for the National Guidelines on Community Engagement, London, UK. He is also a Board Member to the European Consortium for Cross National Student Health Behaviour Research, Germany. Dr. Ansari has authored many papers and books etc. Dr. Ansari is also an active Editorial Board memeber of Journals like Chronic Illness (UK), International Journal of Environmental Research and Public Health (Switzerland), The International Journal of Leadership in Public Services (UK), Journal of Integrated Care (UK), International Journal of Biomedical Science (USA), Medical Sciences Monitor (USA), Africa Journal of Nursing and Midwifery (South Africa); and reviewer for another 9 international prestigious peer reviewed journals. He is also a Member of the National reference group for the Department of Health's 'Public Health Desktop' initiative, London (2006 - present). Research areas of Dr. Ansari include public health, health services research, patient and public participation, community alliances and partnerships in health, inter-agency collaboration, student health, physical activity, multidisciplinary quantitative & qualitative research, epidemiology & statistical methods, primary health care.